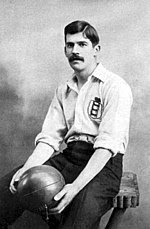 The origins of the name soccer are thought to have come from an Oxford footballer by the name of Charles Wreford Brown (1863). He borrowed 'socc' from Association and added 'er' to give the term "socc'er'". 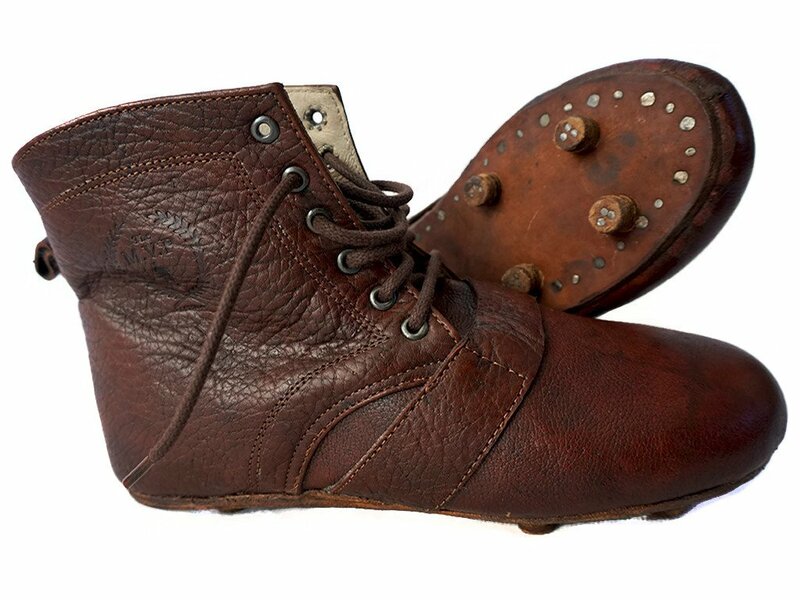 Such vernacular was common at the time and gave counter speak to the other football code, rugby or "rugger". By ironic coincidence the Latin word for slipper is soccus, and in antiquity the soccus was worn by entertainers, women and effeminate young, men. It described a simple slipper or calceoli and laterally became a sock that fitted loosely so they could be removed quickly. Soccus were commonly dyed yellow from the seed of the pomegranate. 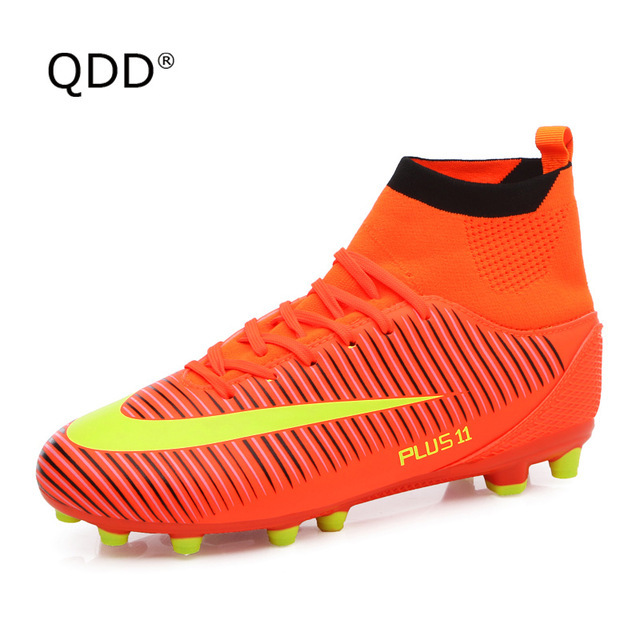 Fashion dictates meant the original soccer boot became a soccer slipper. 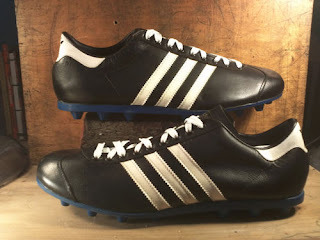 Black boots were once universal but as more colourful boots graced the field fans became suspicious as to the to the sexual orientation of the wearer. 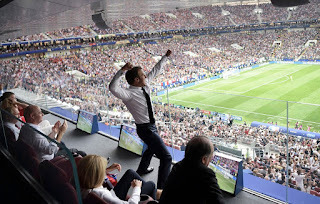 In a world once the prerogative of the heterosexual anything other than 100% machismo was vocally criticised from the terracing. Thankfully these days are gone and blistering feats in colourful boots are all part of the modern game. Fashion never rests and now hi boots have crept back into fashion. In the 2005 Ping Pong video (Nike), Brazilian superstar Ronaldo de Assis Moreira (Ronaldinho), laces a pair of gold soccer shoes in an empty FC Barcelona's training ground stadium and starts juggling a ball with the new boots. He proceeds to the top of the 18-yard box, keeping the ball aloft as he goes, and then does the unimaginable. With the ball never touching the ground, the twice FIFA World Player of Year casually strikes a right-footed shot that hits the crossbar and rebounds back to him. He traps the ball on his chest and repeats the feat three more times. all in one camera take. Likely to be computer trickery of course, but the Brazilian sumpremo’s natural talent makes it all the more credible. Twelve million people watched 'Ping Pong' which is eleven million. nine hundred thousand, nine hundred and ninety nine more people than spied a young Jimmy “Jinky” Johnstone (Celtic and Scotland ). Dubbed the 'Lord of the Wing', his former Scotland manager Tommy Docherty in a television interview, commented in his formative youth with no real mates other than his football he endlessly hit a ball against the gable wall to become a master of footwork. No trickery there. Footgear plays a vital role in a footballer's game with even minor irritations resulting in painful blisters. In a warm up game against New Zealand in 2016, two weeks prior to the 2006 FIFA World Cup TM , Brazil captain, Ronaldo limped off after complaining he had four blisters on his left foot and two on his right. The Brazilian doctor, Jose Luiz Runco was convinced his blisters were caused by a defect in Ronaldo's boots. Ooops !! The BBC confirmed Ronaldo’s old boots were sent for. 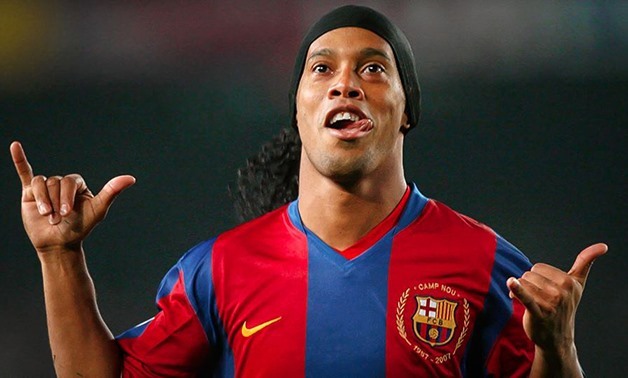 The Brazilian Captain made a full recovery and was able to play in the 2006 FIFA World Cup TM. Brazil were eventually knocked out in the quarter finals. Preparing boots for play is a necessary task, even for superstars. Most of us do not have the luxury of a new pair of boots each time we grace the field which makes life a little easier, but routine care and maintenance is recommended if irksome problems like blisters are to be avoided.